This transitional bed will transform your bedroom setting. 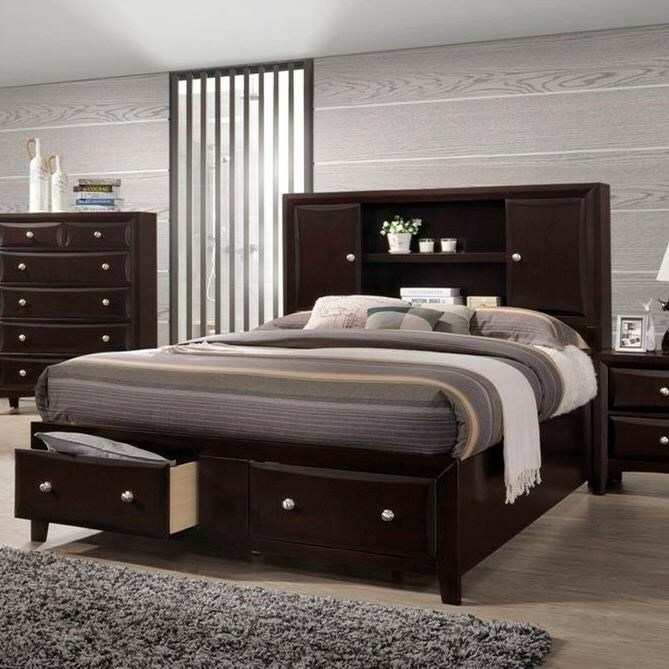 Exceptionally unique, the bed features two headboard doors, two headboard shelves and two footboard drawers for extended storage and accommodation. 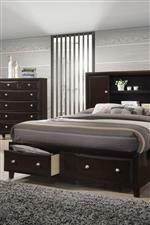 Showcasing tall legs and completed with a walnut finish, this low-profile bed will serve you well. 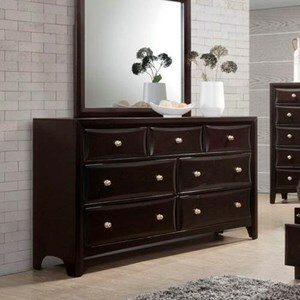 The C6498A Queen Storage Bed with 2 Drawers by Lifestyle at VanDrie Home Furnishings in the Cadillac, Traverse City, Big Rapids, Houghton Lake and Northern Michigan area. Product availability may vary. Contact us for the most current availability on this product. 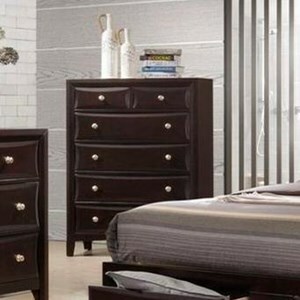 This beautiful collection presents transitional furnishings for your bedroom setting. 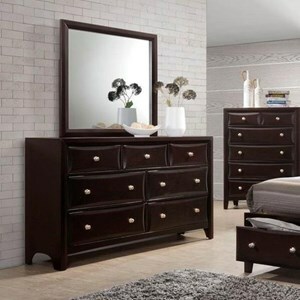 Featuring a storage headboard and footboard, the collection includes extended storage, ornate knob hardware, tall legs, and sleek styling. 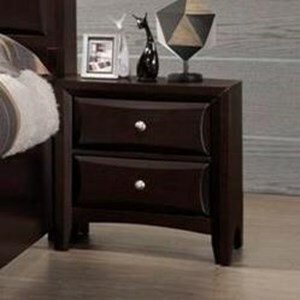 All completed with a walnut finish, these transitional furnishings are perfect for your modern bedroom space. The C6498A collection is a great option if you are looking for Transitional furniture in the Cadillac, Traverse City, Big Rapids, Houghton Lake and Northern Michigan area. 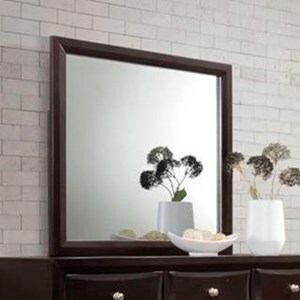 Browse other items in the C6498A collection from VanDrie Home Furnishings in the Cadillac, Traverse City, Big Rapids, Houghton Lake and Northern Michigan area.